Enjoy a Round of Golf While Supporting a Great Cause! Looking to add a social responsibility component to your next golf event? Or enjoy a round of golf while supporting an important cause? 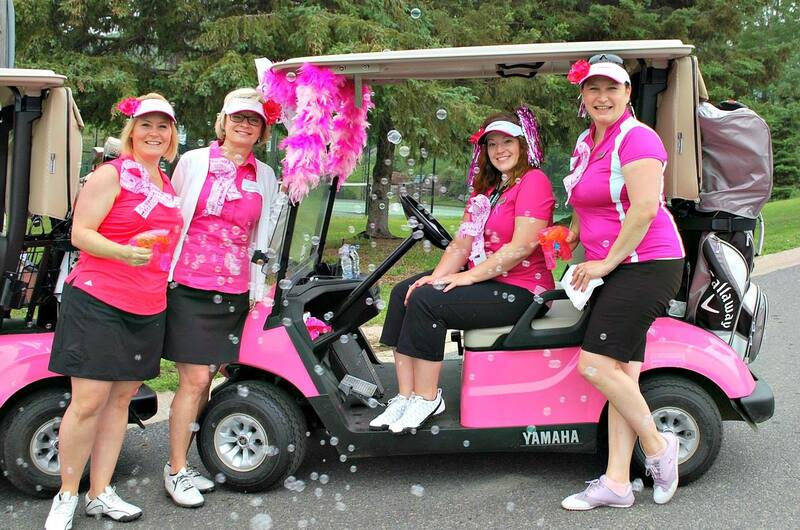 Deerhurst Resort’s NEW pink golf carts are now available in support of the Huntsville Hospital Foundation for Breast Cancer Awareness. 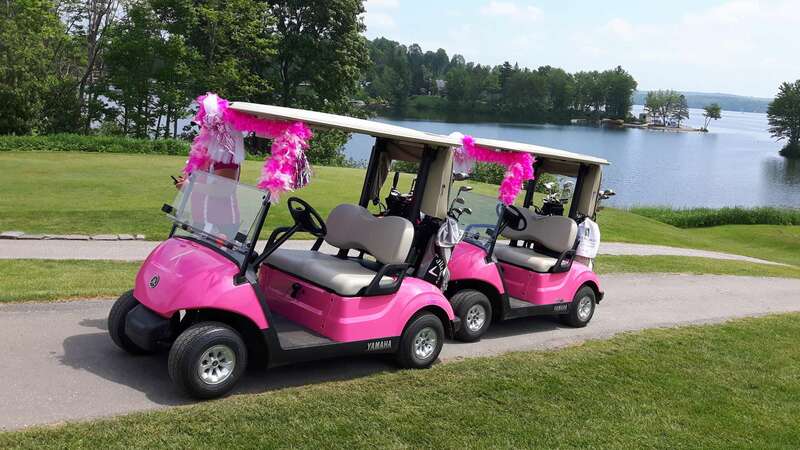 These pink carts are available to golfers at Deerhurst Highlands for an additional $10 ($5 per rider) – of course you may donate more if you’d like! The Huntsville District Memorial Hospital Site is a designated Ontario Breast Screening Program (OBSP) site bringing breast screening closer to the home and cottage for patients across Muskoka and East Parry Sound. The OBSP is a Cancer Care Ontario program dedicated to providing high-quality breast screening services for women age 50 and older. Breast cancer screening is the regular examination of a woman’s breasts to find breast cancer early and a mammogram is the best screening tool. Breast screening is important and the OBSP makes it easy for women 50 years of age and older to refer themselves, receive reminder letters and prompt results. This means women who don’t have a primary care provider can book their own mammogram through our OBSP clinics. OBSP sites in Muskoka also make it easier for our seasonal residents to get their routine screening appointments while they’re at the cottage. Please note that we cannot offer donation receipts for tax purposes.